MASTER PROBLEMS Parenting and Kids How grandparents can cope with strains of raising grandchildren? How grandparents can cope with strains of raising grandchildren? Millions of children live with their grandparents and the number is rapidly growing. What is behind this disturbing trend? Children whose parents divorce may end up living with their grandparents. So may children who are neglected or abused by their parents. There are also millions of children who are “parentless” as a result of abandonment, parental death, and mental illness. Children who lose their mother early in life may also end up in the care of their grandparents. Taking on child-rearing responsibilities during old age may be overwhelming. Many people simply do not have the energy to keep a constant eye on small children. Some grandparents are also taking care of their own aging parents. Yet others are widowed or divorced and must manage without the support of a mate. And many find that they are not prepared financially to take on such a load. In one survey, 4 out of 10 custodial grandparents had incomes near poverty level. Indeed, many report health problems. “It affected me physically and mentally” says Elizabeth, a woman who cared for her teenage granddaughter. Many are unprepared for the change in life-style that raising grandchildren demands. 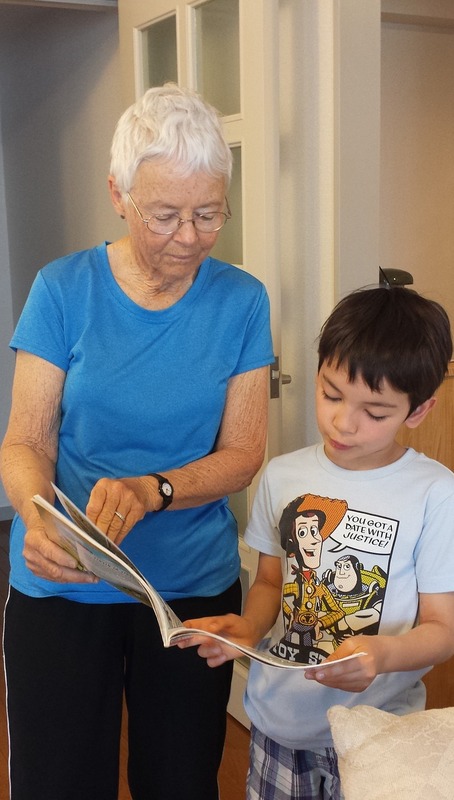 “There will be times I can’t go places,” says one grandparent. Another described her personal time as “nonexistent.” Social isolation and loneliness are common. Also painful are the emotional pressures. Husbands, in particular, often feel neglected as their wives shoulder the lion’s share of the child care. Some husbands feel that they simply cannot handle the pressure. The child’s father literally abandoned her at the street corner where Elizabeth worked as a school crossing guard. “She is an angry child,” says Elizabeth. Sally’s grandchildren bear similar wounds. Having a loving father and mother is a child’s birthright. Imagine how it feels to a child to be abandoned, neglected, or rejected by them! Understanding these feelings can be the key to dealing patiently with children who develop behavioral problems. For example, an abandoned child may resist your efforts to care for him. Understanding the child’s fears and anxieties can help you to respond with compassion. Perhaps acknowledging his fears and reassuring him that you will do all you can to take care of him will do much to quell his fears. ‘I’ve been feeling very hurt and sorry for myself. It’s just not fair for this to happen to us.’ So said one custodial grandparent. If you are in that situation, you may have similar feelings. But the matter is far from hopeless. For one thing, age may limit your physical energy, but age is an asset when it comes to wisdom, patience, and skill. Do not be afraid to seek help. Often friends can be of assistance. Don’t overlook assistance that may be obtainable from the government. Social workers and local agencies that assist the elderly may be able to direct you to helpful services such as grandparents raising grandchildren support groups or organisations that offer financial help. On the other hand, if you do not care for your grandchildren, what will happen to them? Could you handle the pressure of knowing that they are being cared for by others, perhaps even strangers? Many then may conclude that in spite of the difficulties involved, they have little choice but to take on the responsibility.